To look at the items and places of our everyday lives with a new perspective: the mirror as a magical element, which makes the emotions we feel visible even to us. 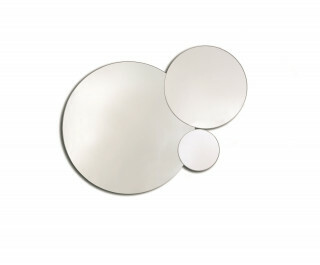 Eclipse is a mirror with a matt white lacquered border, available in three different diameters (160 / 100 / (50 cm). It can be used stand-alone or in a set: the mirrors can be overlapped to create original compositions.